Ananya Panday's message to dad Chunky Panday's birthday is basically every daughter ever. "Happy birthday to the coolest dude ever," Ananya wrote on Instagram. On Wednesday, 18-year-old Ananya dug out a really cute and a really old photo from the family archives as a special birthday greeting for her actor father. 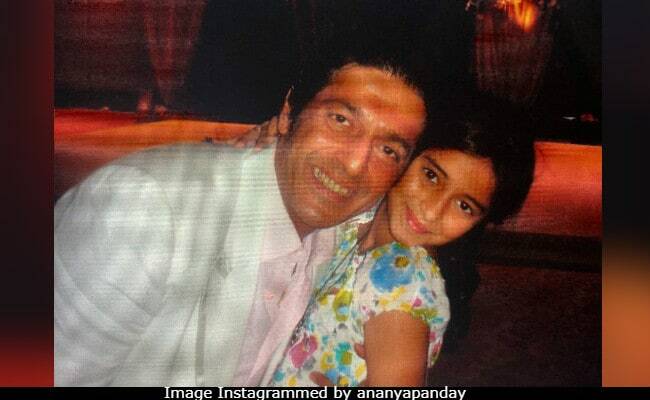 Chunky Panday's photo with Ananya is an adorable case of adjusting heights - the actor adorably bends down for little Ananya, who can be seen cutely posing with her arm around his neck. Also, the striking resemblance between the younger version of Ananya and her dad, is hard to miss. Chunky Panday is truly his daughter's "best friend." Earlier this year, Ananya Panday revealed one more similarity between her and her actor father - in a post from New York, she said both she's a fan of brightly coloured printed shirts just like her father has been in the Eighties. Check this out! In January this year, Ananya Panday made her high society debut at Le Bas in Paris, where she was accompanied by none other than Chunky Panday. s, joining the aspiring actress as the cavalier was Prince Philip d'Arenberg. Meanwhile, Ananya Panday is all set to make her foray in Bollywood. Dharma Productions has roped in Ananya as the one-third of the lead cast of Student Of The Year 2. She co-stars with Tiger Shroff and Tara Sutaria in the movie, which is currently being filmed. 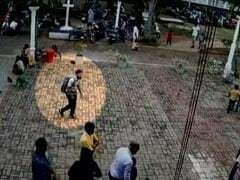 Directed by Punit Malhotra, Student Of The Year 2 is expected to hit screens next year.